I wanted to go Bosnia after Belgrade, but the roads were closed. Floods and landslides all over Bosnia and Serbia had forced buses to cancel their routes, and there was no train to Sarajevo. I thought I was having a bad couple of days, but then food trucks and suppliers also couldn’t reach parts of both countries. Electricity outages and flooding made the disaster worse, and Serbia declared a state of emergency. 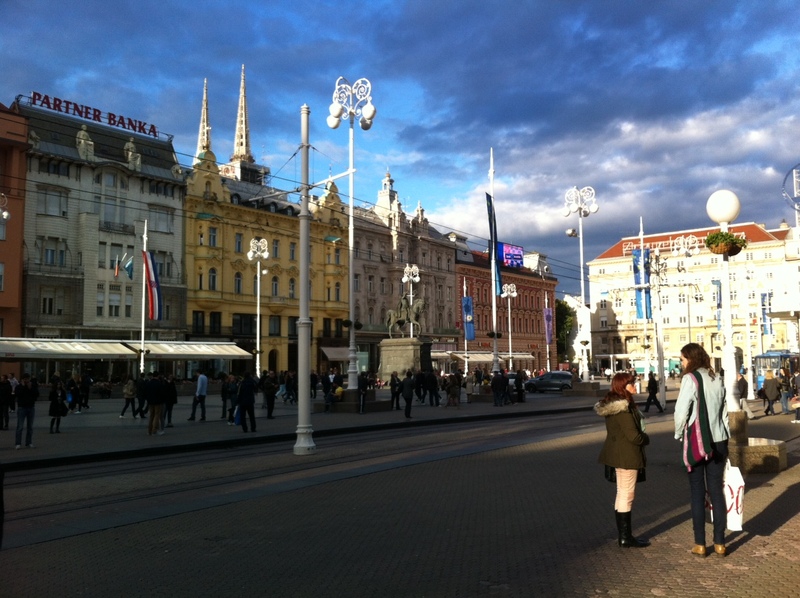 I wanted to stay and help but didn’t know when or how I’d get to Bosnia, so I went to Zagreb instead. I’ve been to Croatia before, but only around the touristy coast. Zagreb is somewhere landlocked in the middle, halfway between Bosnia and Slovenia, but has been a major settlement for thousands of years with a typical hill-on-the-river kinda setup. Now its split into the medieval upper town, formerly known as Kaptol, and the lower town, filled with larger pedestrian streets and lots of shops. The most interesting attraction was definitely the Museum of Broken Relationships, which displays tokens of people´s break-ups and lost loved ones and the stories behind it. It was really sad, and many that entered left with tears. They consider it some sort of therapy, since everyone has gone through a broken relationship, but it was strange to see how personal things were – one donation was his mother´s suicide note. I couchsurfed with a Croatian woman who speaks English, French, Russian and Croation (and the related Slavic languages nearby) fluently, plus a handful of 4 or 5 other languages. She was tiny in stature, but got a kick out of driving big trucks (like 18-wheeler big) and hanging out with big, tattooed motorcycle men. I got a kick out of them too; one was half my height and another had an all-white eye. I entered (and forfeited) a drinking competition with one of them, but hope to go back and ride on one of their choppers (or maybe even an 18-wheeler). 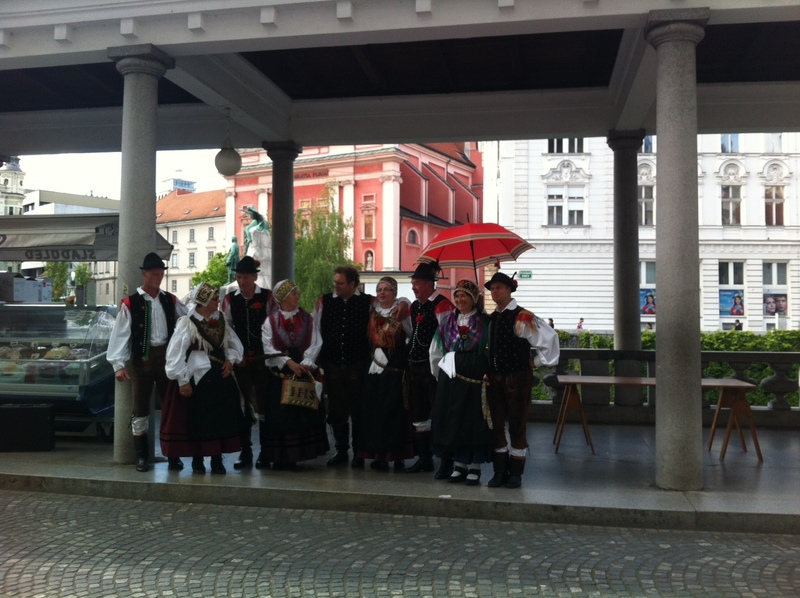 From Zagreb, I took a train to the capital of Slovenia, Ljubljana, which means “beloved” town. It was much smaller, but same set up: a small hill and a river winding around it. There was an old castle fort on the top, looking down over a few narrow streets of red-roofed buildings. There were two beautiful churches, one pastel yellow and the other one bright pink, and the opera house and all the buildings surrounding it were bright yellow. I took a free walking tour and learned mostly facts about poets and architects, since much of the city was built or influenced by the poet Preseren and the Slovenian architect Plecnik. I couchsurfed in Ljubljana with a Slovenian guy and his stepson, who were nearly the same height and size with bleached blonde hair but 20 years apart. He was the second guy I met that weekend with only one functioning eye, and I wondered again what its like to ride a bike with no depth perception. He took me on a pedal bike tour on the rain which was a cosy way to first experience the empty town. He has this wonderful idea of expanding couchsurfing into something more than just sharing a roof and a couch, so he shares his kitchen for couchsurfing cooking events. 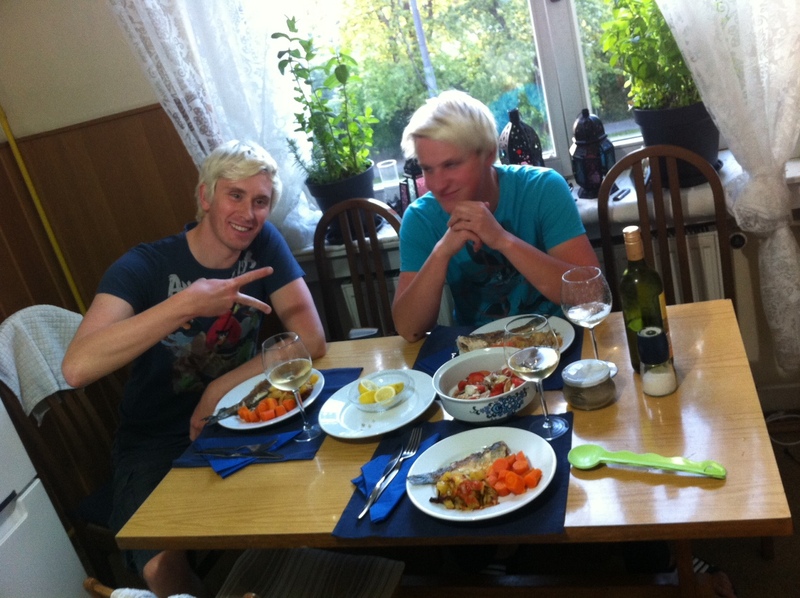 I arrived just as an Indian couple was leaving, and the place still smelled like coriander and curry, I tried some of Marko´s Slovenian cabbage and potatoes, and I made a typical fish and potato dish before leaving. Check out the videos here.